Playing with classic heartbreak tropes, Palaye Royale’s catchy new track puts a twist on an unfortunate romance. Following the release of two singles “Death Dance” and “You’ll Be Fine,” the band released their third single from their forthcoming album Boom Boom Room (Side B). “Teenage Heartbreak Queen” puts a twist on classic breakup tropes. The song is accompanied by a vintage film style lyric video, which was released exclusively via YouTube. 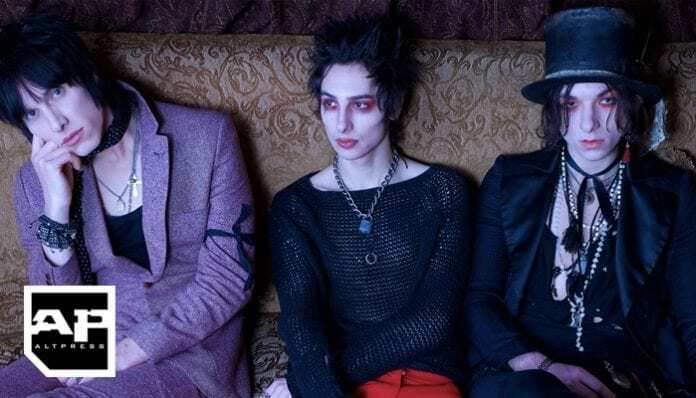 Listen to Palaye Royale’s latest single below. Boom Boom Room (Side B) will be available Sept. 28 via Sumerian Records. You can preorder your copy here. Palaye Royale is also currently on a U.K. tour. Following their return to the U.S., the band will embark on their Final Boom Tour. Check out a full list of dates below and grab your tickets here. Are you excited for Boom Boom Room (Side B)? Let us know in the comments below!